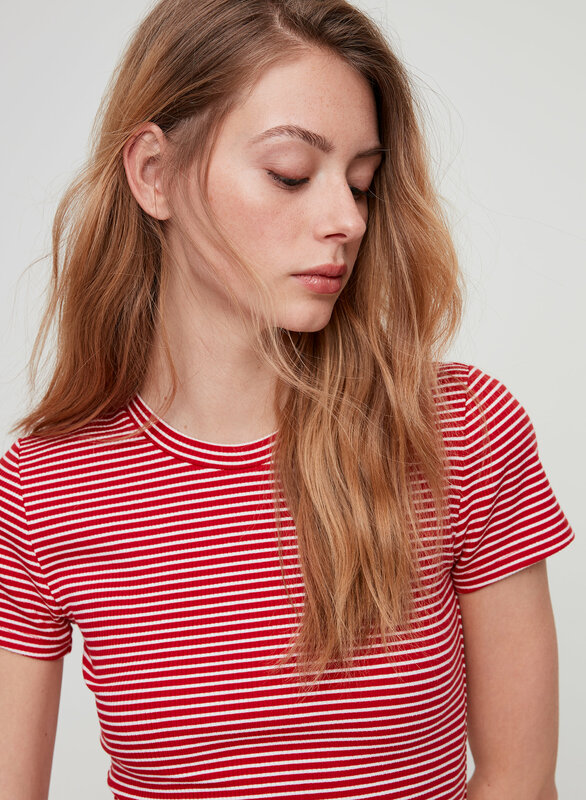 In a tee this simple, you can be extra. 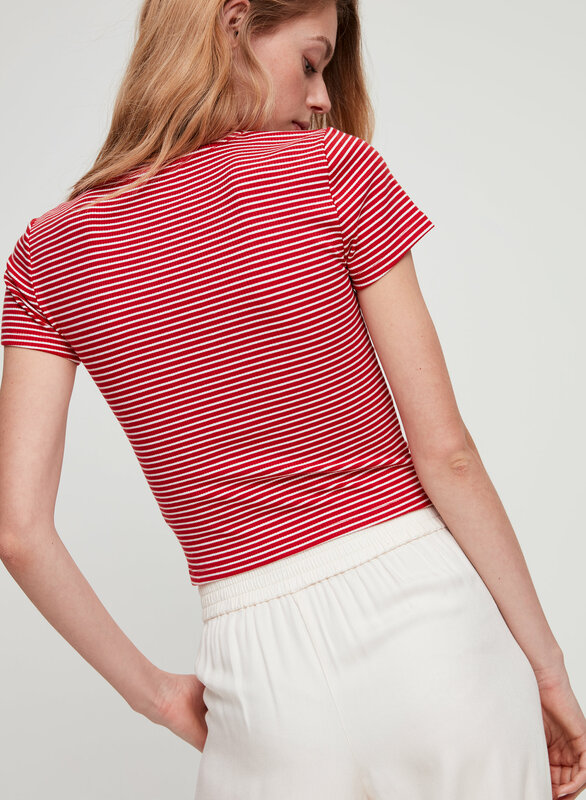 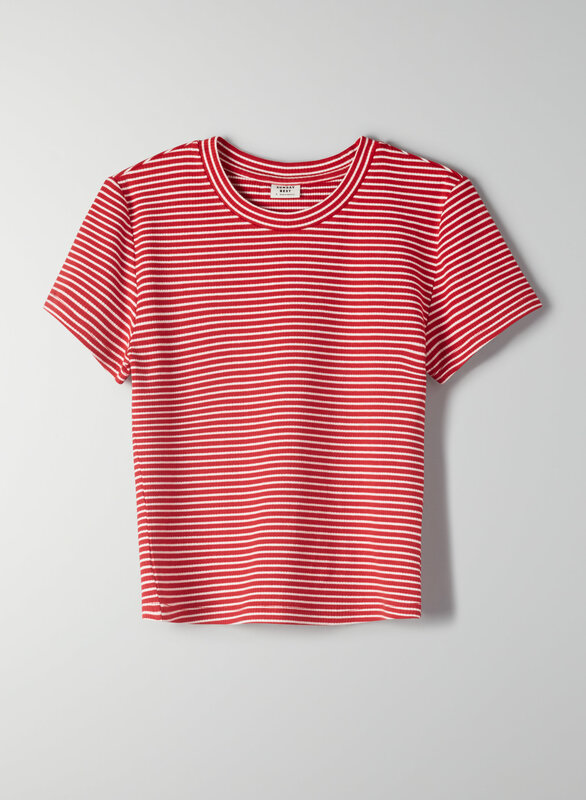 This is a shrunken, ribbed t-shirt made from a cotton blend fabric with a light stretch. 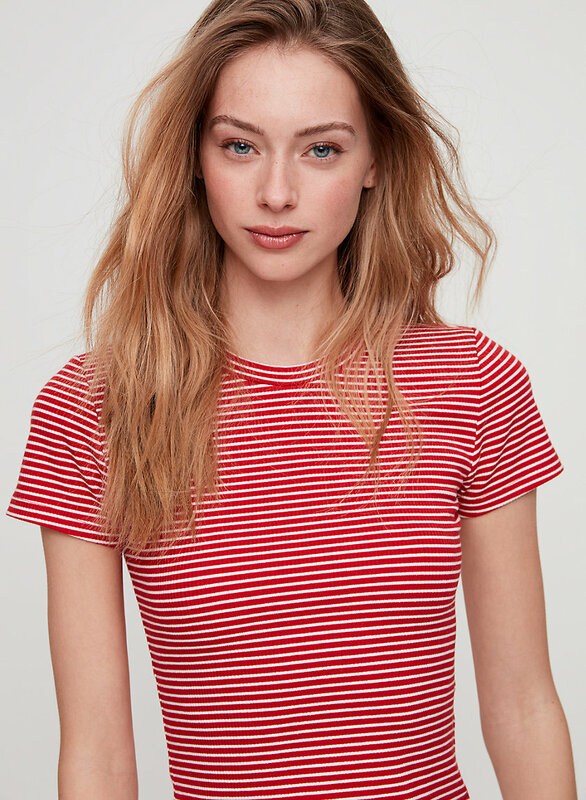 This version of the Everdeen comes in a two-tone stripe print.